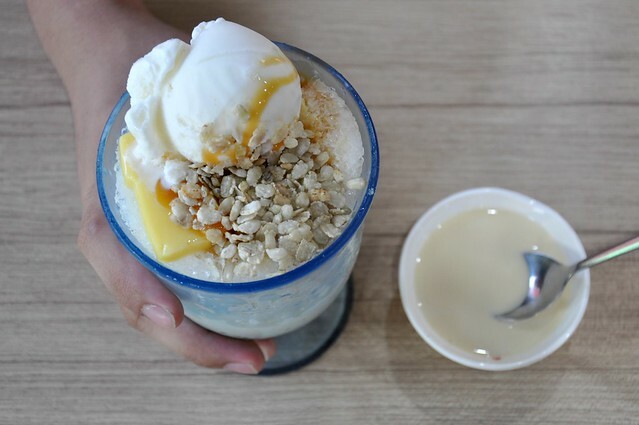 Have you tried the new milky white halo-halo of Chowking? 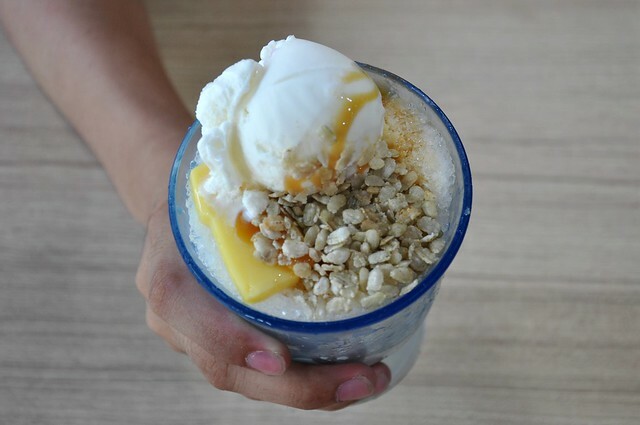 It’s fashionably filled with sweetened saba (banana), chewy macapuno strips, creamy leche flan, crunchy pinipig, shaved ice, a scoop of vanilla ice cream and dribbled with caramel syrup. I like it more ‘coz it’s pared down with just my favorite halo-halo fixings. Oh hey now! Guess will have to make a Chowking stop just for this next year. She was here or still here. Hope your daughter enjoyed/enjoys her stay. Is she just hitting up here on Oahu or plans to go to a neighbor island. Hope the waves was good to her. It was very choppy couple of weeks ago. she’s back in LA. she did sky diving too! tell her next time if she hasn’t done so….tell her to go island hopping. even better.